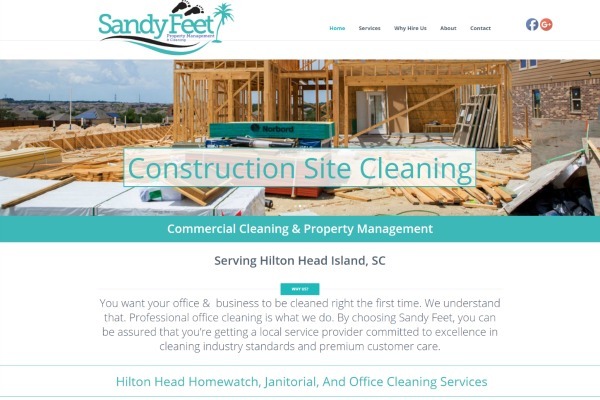 Sandy Feet has been a local leader in commercial cleaning on Hilton Head for years. Except they didn’t have a website! 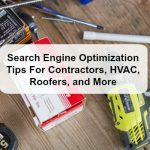 These are our favorite types of projects, something where we can build upon the years of history the business has and bring it to their website. It was also a great learning experience for us, it opened up a whole new range of keyword research. One of Sandy Feet’s prime services is after hours cleaning of offices and banks. This entailed targeting very specific business 2 business words. 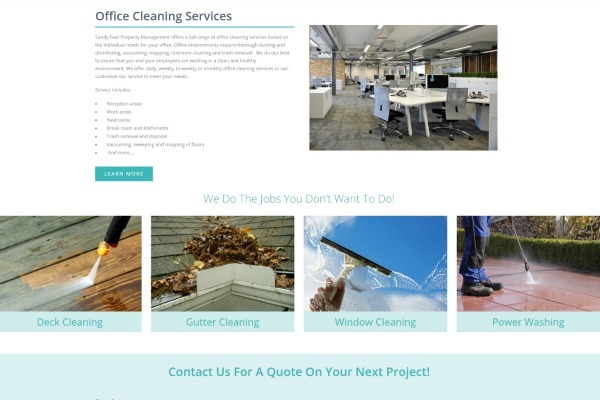 During this project, we found the market is very competitive for office cleaning with out of the area companies. 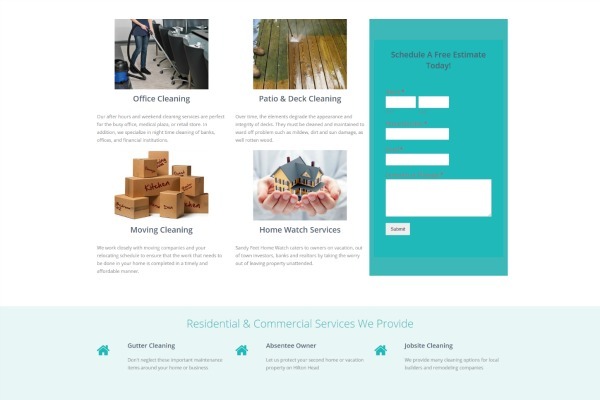 Their are several large regional services that will contract out commercial cleaning, so it was up to us to bring a local presence to Sandy Feet and highlight their company history. Archer and his crew had a wealth of information to share, but not the time to put it to words. Our staff of copy editors were able to take their stories and create all the content for the website, saving the Sandy Feet crew hours of work. Take A Look At The Website In Action! 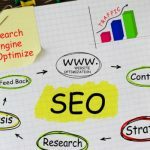 We help you get more leads and make more money from your website! 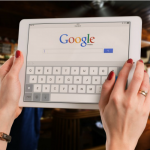 We would be honored to handle your next website from start to finish. We understand the importance of each clients needs and take the time to deliver quality services to our customers.